ServiceAide announced on October 3, 2016 that it has completed the acquisition of IT CSM from CA Technologies. CloudBasic creates near real-time read-replicas for multiple DBs across US and Europe, offloading primary, and facilitating faster response time for product's reporting system. EXECUTIVE SUMMARY: Cloud Service Management (CSM) is a leading cloud ITSM solution for the enterprise, originally offered by CA Technologies, and recently acquired by ServiceAide. As a SaaS service of critical importance, it requires High-Availability. CloudBasic's Multi-AR replication technology was utilized to create read-replicas of multiple database servers and achieve SQL Server HA with low TCO. The read-replicas were also used for the product's comprehensive reporting and analytics systems, further alleviating the primary servers. With the multitude of applications currently deployed in the enterprise, service delivery is crucial for business productivity and, in a vast number of cases, is mission critical. Naturally, many web-based IT service desk solutions were developed and deployed by early adopters in the emerging days of the SaaS industry. Presently, however, too many organizations are inundated with overly sophisticated solutions that are bloated with obsolete features, are hard to use, and too expensive to maintain. Cloud Service Management (CSM), originally offered by CA Technologies, addresses these exact issues. It is a SaaS-based, highly configurable, 'no-code-required' IT Service Management (ITSM) solution for enterprises. With its consumer friendly approach to managing a wide variety of services, CSM has the primary objective to accelerate adoption and empower users, greatly reducing complexity and the cost of ownership in the process. It enhances user experience, mobility, collaboration, and generally enables users to serve themselves. Cloud Service Management provides a critically important service to customers, which requires High-Availability. In addition, CSM delivers comprehensive reporting and analytics to their customers. While this is a vital functionality for end-users, it also adds an additional heavy read burden on the system databases. In a period of steady growth in the cloud ITSM sector, and projected expansion in foreign markets, the number of server deployments increases, and the issue of system stability and High-Availability becomes of paramount importance. Both CA and ServiceAide also are committed to a seamless transition of CSM for all parties involved, including customers, partners, and employees, and must ensure that there will be no service interruption. CloudBasic's Multi-AR technology was leveraged to create read-replicas for reporting purposes, offloading the primary SQL Servers hosting data for US based customers. 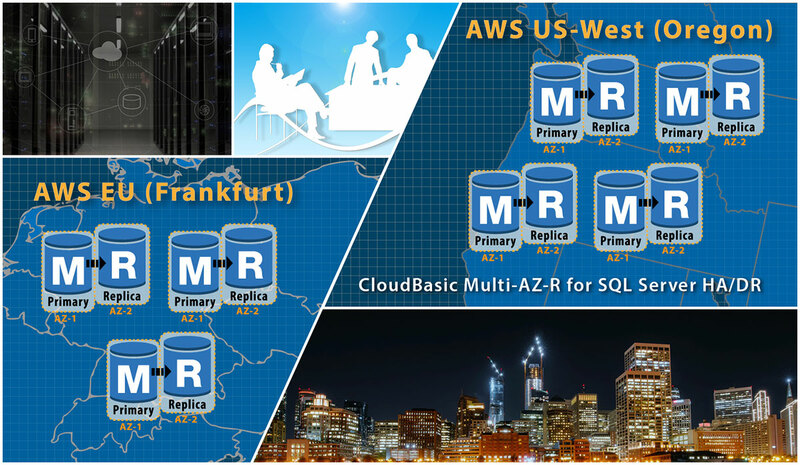 ServiceAide has further expanded use of CloudBasic's replication technology, deploying it to AWS Frankfurt to achieve the same for their European customers as well. Cloud Service Management (CSM) runs in both dedicated DB and multi-tenant mode. Bigger customers are allocated dedicated databases, where CloudBasic maintains read-replicas for each one. Near real-time read-replicas are seamlessly maintained, along with continuous database schema change tracking which involves continuous dynamic views modifications. Cloud Service Management (CSM) delivers comprehensive reporting to their customers, which are run against the DB read-replicas instead of the primary servers. 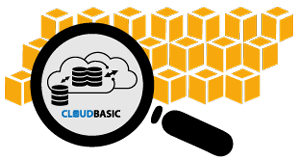 CloudBasic is in the process of being deployed as a near real-time ETL tool which will deliver denormalization of the databases to further accelerate the reporting performance which will ultimately result into improved customer satisfaction and acquisition of new customers.